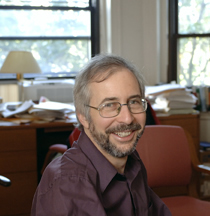 Kevin Lang is a Professor and Chair of the Department of Economics at Boston University. His work spans theoretical and empirical research on labor and education economics, including discrimination, immigration and language issues. His publications include Poverty and Discrimination (forthcoming in 2007 from Princeton University Press) and over fifty academic articles, and his research has been funded by several grants from the National Science Foundation. He spent a year at the National Bureau of Economic Research (where he is presently a Research Associate) on an Olin Foundation Fellowship and three months at the New Zealand Institute of Economic Research on a Fullbright Fellowship. He was the recipient of a Sloan Foundation Faculty Research Fellowship. He is co-editor of Labour Economics, the journal of the European Association of Labour Economists and a member of the Advisory Board of the Canadian Employment Research Forum. In his home town of Brookline, Massachusetts, he has served as chair of the elected school board of which he continues to be a member. He received his BA in Philosophy, Politics and Economics (PPE) from Oxford University, his MSc in economics from the University of Montreal, and his PhD in economics from the Massachusetts Institute of Technology.